Grain elevator managers are thoroughly familiar with the concept of bulk weigh loadout scales. These devices provide origin weights through a continuous weighing process as grain is loaded into a truck, railcar, barge, or ship hold at volumes of 40,000 bph or more. The same principle holds, although on a smaller scale, when you take grain and oilseeds to the next step beyond the elevator, to processing. 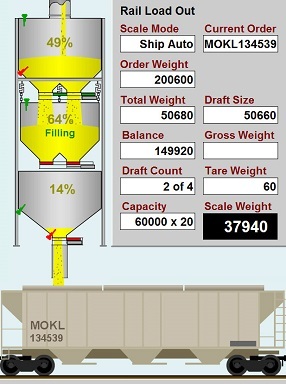 Many grain and oilseed processing operation rely on continuous weighing for the control of the entire process downstream. That certainly was the case for American Soy Products in Saline, MI (313-429-2910), which uses approximately 3,000 bushels per week of locally-grown, certified organic soybeans to produce a variety of soybean-based beverages, including soy milk. Continuous weighing works into the system after soybeans are cleaned and before they continue on to a proprietary grinding and decanting process, says Jim Fox, vice president – operations for American Soy. “We weigh soybeans in 55-lb. increments on the in-process scale, and our in-plant computerized automation system uses the data to track soybean usage and yields,” he says. American Soy had an opportunity to upgrade its in-process scales, when the company added a second production line, doubling its capacity. The new line would need a scale, while the scale on the original line required frequent maintenance and emitted an unacceptable amount of dust. On the advice of the contractor installing the new production line, Fox contracted CompuWeigh Corp., Woodbury, CT (203-262-9400), a supplier of in-process scale systems to the grain industry. 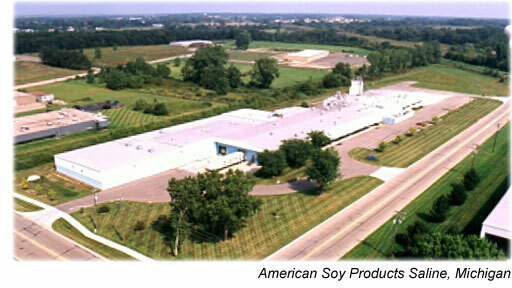 American Soy ordered a pair of in-process scales, each with a capacity of roughly 60 tph, for the two production lines. The two scales interface with American Soy’s in-house PLC Controls. At the start of a weighing cycle, the feed gate is opened on command by a stainless steel pneumatic cylinder. The soybeans fill the weigh hopper to a preset amount, and the feed gate closes. 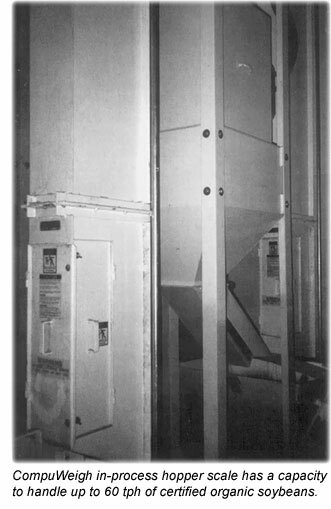 The weight of the soybeans in the weigh hopper is recorded and stored in computer memory, and the weight hopper gate opens. The soybeans are discharged, and the weigh hopper gate closes. The empty or tare weight of the weigh hopper is recorded, and the weigh cycle repeats. The manufacturer notes that the process hopper scale offers accuracy to within 0.1% and is NTEP – approved. The weigh hopper and gates are fabricated from stainless steel, while the housing and access doors are fabricated from 12-gauge mild steel. The feed gate has a manually adjusted flow limiter, so it can be set to help regulate the flow rate of soybeans downstream in the process as needed.